1. 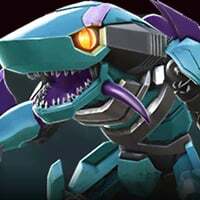 Ramjet and Primal special 2 doesn't connect on last hit of medium combo (except if the opponent is cornered). 2. Ultra magnus sign should be revised since it's only useful in raids. 3. Hound really needs a damage buff. My main concern is number 1, since it's an error. I don't know if everybody experiences this or not, but it happens to me everytime. 2. It’s useful in AM and story as well. We don’t want them to touch it the last time he was a powerhouse to go against Inc AM. End your combo with light attack will help connecting SP2. But for Ramjet you can stick to SP1, it works better. I have another one. Tact bumblebee. He is a tactician and he does not apply any armour breaks, does not get anny ressitance buffs or does not nullify. He just applies a shock at the end off a sp2. Either he needs to be reworked, put in a different class (even then he will still be as bad as hound). To be honest, I've always suspected that Tact Bee started off as a scout and was made into a tactician to even out the numbers or something. Attack buff are ablity common to tacts. As tact description on load screen says they adapt to tide of battle. So does his Evades and MAGNUS' Resistance. Another feature which is exclusive to Tacts is Abilities dependant on team mates. Like. Prime: Roll Out, Armor, SP1 Attack buff. Bee: +x% attack buff for 8 secs for each MEM KO. And Synergies like Till all are one. He is Brawler because his gameplay/playing style makes him. Same is the case with bee. I've seen a lot of comments about Ramjet's SP2 not connecting at the end of a combo. I've found it's all a matter of timing. When I first got him, I missed almost all the time. What I eventually discovered is that it connected when I got a little bit lazy on the SP activation. 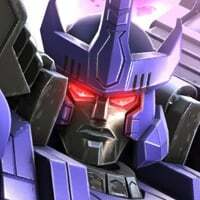 At that time, Soundwave was one of my main bots. Anyone who's used him much might have noticed that you have to be really quick on the draw with his SP2 at the end of a combo. Either you activate it as soon as the last hit lands, or the opponent is going to have enough time to recover and either block or dodge. Ramjet is just the opposite. If you activate it as soon as his last hit lands like you would for Soundwave, that thruster burn attack takes too long on the approach, and your opponent can recover before it hits. But if you delay it a little bit and wait until Ramjet's forward momentum is finished, he's closer to the enemy when you activate the thrusters, and so the opponent gets hit right away. Since I figured that out, the only times I've ever had his SP2 miss have been when I revert to my Soundwave playstyle and jump the gun on the activation. As long as I make sure to time it right, I never have any problems with it missing.